The sage lady cocktail was created to feature Absolut Mango Vodka. It's a delightful drink that pairs fresh sage and cucumber with the fruity vodka, offering a martini that's a little out of the ordinary. The use of fresh sage—a herb rarely seen in cocktails—is possibly the most intriguing aspect of this recipe. It has great potential, especially when paired with sultry tastes like the mango used in the sage lady. Adding the refreshing flavor of fresh cucumber, the orange of Cointreau, and the peach bitters balance everything out, leaving you with a fascinating drink to enjoy. In a cocktail shaker, muddle the cucumber, simple syrup, and sage. Garnish with a spanked sage leaf. Spanking your sage—including the leaves you muddle—between your palms will wake up the herb's essence and make it more flavorful. It's a trick many bartenders use with mint and works with any leafy herb. Fine straining this cocktail by using both a regular strainer and pouring it through a fine-mesh sieve is important. It will remove any bits of sage and cucumber and leave your drink cleaner. While the average slicer cucumber works find here, you might want to consider using an English cucumber instead. They tend to be sweeter and less bitter than the more common variety, the skin is not waxed, and the seeds are almost unnoticeable. Fresh sage should be stored in the refrigerator, preferably wrapped in paper towels and placed in a plastic bag. It should be good for up to five days. If the leaves begin to wilt, freeze them and thaw the leaves thoroughly before mixing the cocktail. Don't wait too long; after about a week in the freezer, the leaves will be better for food than drinks. If you prefer, make your own mango-infused vodka. Simply wash and cut the fruit into chunks and place it in your favorite vodka. The infusion should take about one week. Cointreau is the recommended orange liqueur, but it's not your only option. You can use another high-end triple sec, try orange curaçao, or opt for a brandy-based liqueur like Grand Marnier. No sage? While there's no really good substitute for the herb, rosemary is a good alternative that will work nicely in this cocktail. How Strong Is a Sage Lady? Unlike many flavored vodkas, Absolut Mango is bottled at full 80-proof strength. That means this lovely martini is not going to be a weak drink. 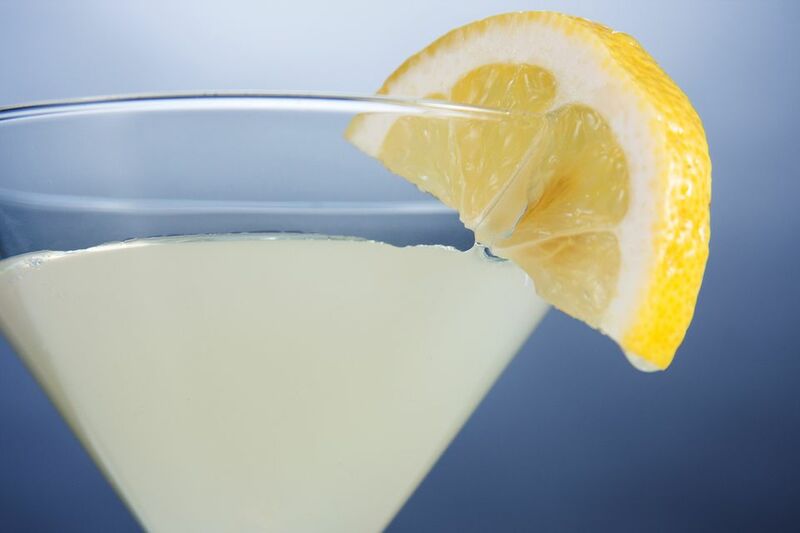 In fact, its alcohol content is right in line with other vodka martinis, weighing in at 23 percent ABV (46 proof).